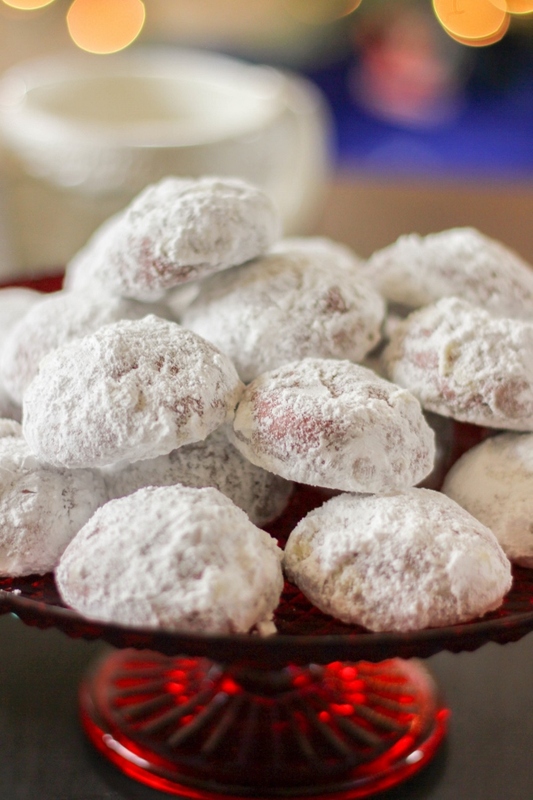 These festive holiday Red Velvet Snowball cookies melt in your mouth and are simply delicious! 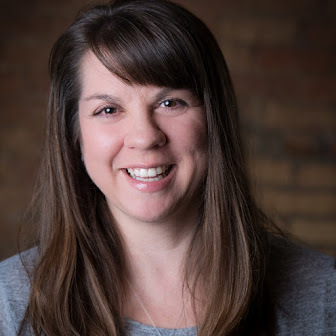 Welcome to 12 Days of Cookies, hosted by Family Around the Table and Cooking With Carlee. 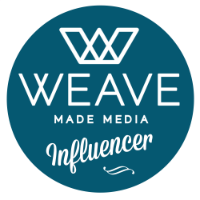 Some of my dearest blogger friends and I will be filling the holiday season with all kinds of delicious cookies! 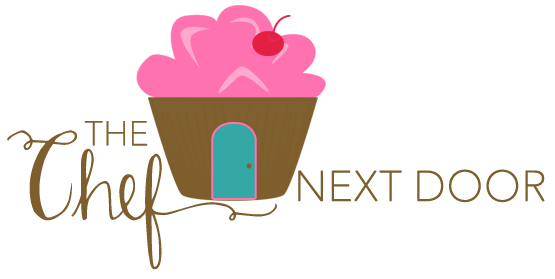 Be sure to check out some of the recipes at the end of this post, or follow along on Facebook or Twitter by searching #ChristmasCookies. 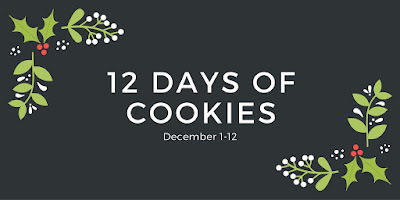 We also have a 12 Days of Cookies Pinterest board where you can see all of the goodness and pin your favorite recipes. May your holidays be sweet! 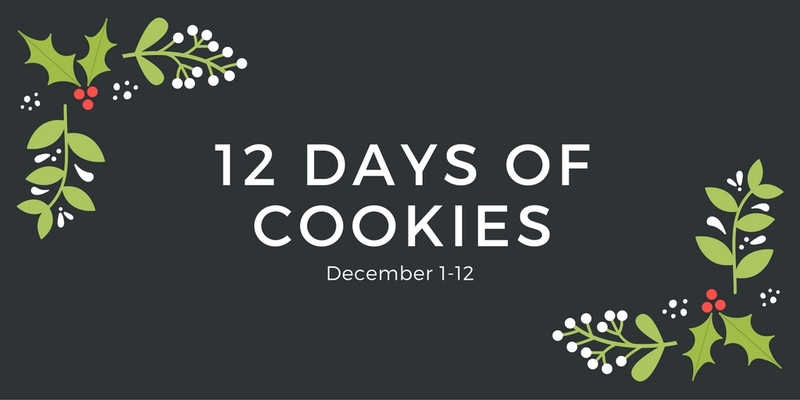 Now that we've gotten the introductions out of the way, how excited are you that we are celebrating cookies for the next 12 days? I don't know about you, but I'm really freakin' excited! One of my most favorite things about the holidays is all the baking I get to do, and making Christmas cookies is right at the top of that list. I've been making Christmas cookies with my family for years, and I'm so excited that I get to share some of my favorite recipes with you now. 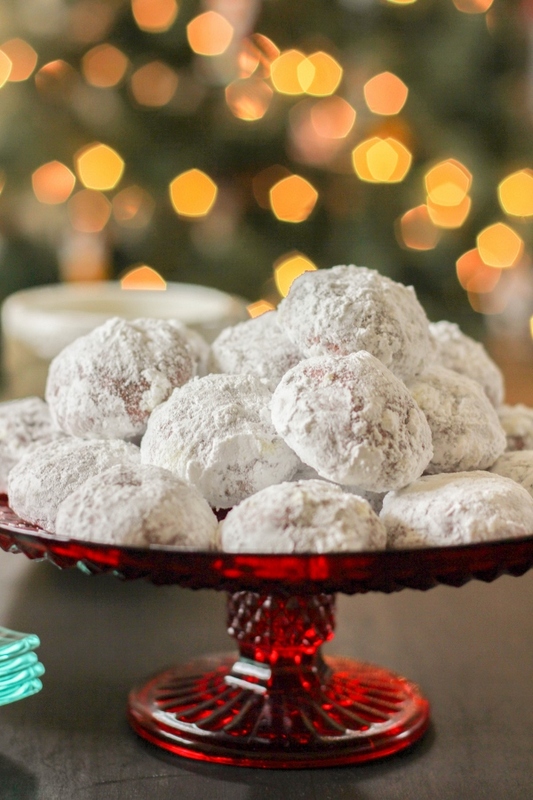 I've been eating snowball cookies during the holidays for what seems like forever, but this Red Velvet version is by far my favorite. 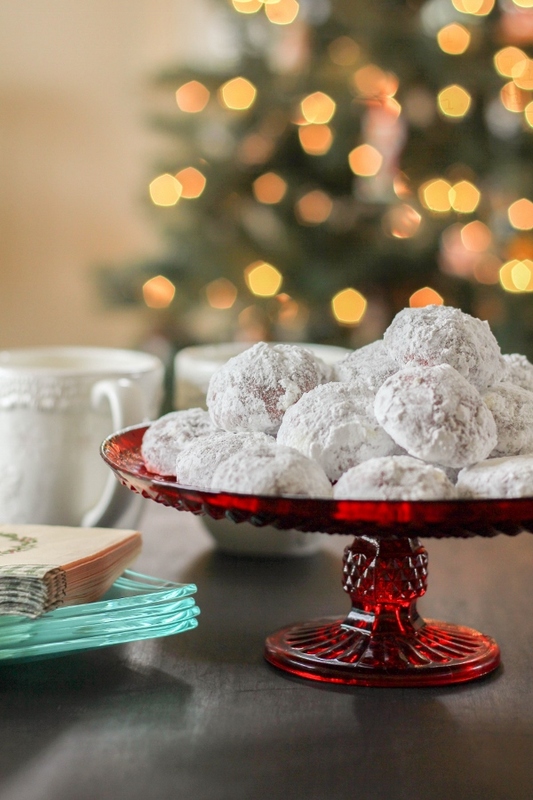 These cookies are tender on the inside, a little crisp on the outside, and covered in powdered sugar. That right there is pure heaven! They have a beautiful presentation and I love that you get a surprise when you bite into them as you see that they're red. Perfect for the holiday season! They are also very simple to make, which is the best part. Bake a batch and add them to pretty tins and give them as gifts. But first make a batch for yourself, you won't regret it! Preheat the oven to 350 degrees. Line two baking sheets with parchment paper or silicone mats and set aside. In a medium bowl, whisk together the flour, cocoa powder, baking powder, and salt. In the bowl of a stand mixer, beat the butter until light and fluffy. Add in 1 1/2 cups of the powdered sugar and beat until smooth. Turn the mixer to low and slowly add the dry ingredients, a little at a time, until incorporated. Add the water, food coloring, vanilla, and vinegar, and beat until the dough just starts to come together. Using a medium size scoop, portion the dough into balls and place them on the prepared baking sheets, about one inch apart. Place the baking sheets in the freezer for 10 minutes. Bake the cookies, rotating the sheets halfway through, just until they are set, about 15 minutes. Cool on the baking sheets for 5 minutes. Pour the remaining 1 1/2 cups powdered sugar in a bowl. Gently toss the warm cookies in the sugar to coat. Return all the cookies to the baking sheets to cool completely, setting the remaining sugar aside. Once the cookies are cool, toss them again in the sugar.